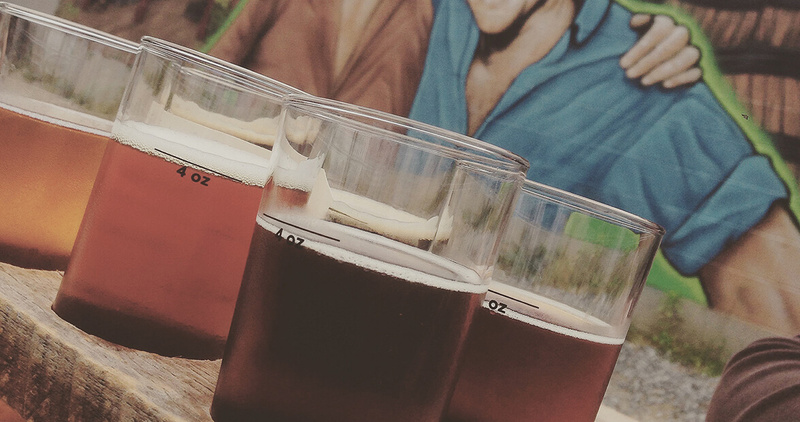 As the weather warms up, quench your thirst these local craft beer events across North Carolina. Download BEER NC to gain early access to monthly guides. Joe Vogelbacher is an Advanced Cicerone and founder of Sugar Creek Brewing, which specializes in Belgian beers with an American twist. In this class, he teaches you the art of tasting beer like a professional. Each ticket includes beer and a gift. Charlotte’s symphony descends on NoDa Brewing Company for an evening of classical music and good beer in this semi-regular concert series. The strings and horn sections of the symphony will be performing, and NoDa Brewing will release a beer specifically brewed for the event. This annual festival (in its fourth year) brings more than 30 breweries together to pour some of the best saisons the state, and country, is producing. North Carolina standouts include Haw River Farmhouse Ales and Fonta Flora. And it all happens at Burial Beer’s taproom and beer garden. For three years, the Goldboro-Three Eagles Rotary Club has put together this festival to help raise money for local non-profits. With 40 different types of beer on hand, you’ll get a four-ounce glass and have the chance to sample away, with the historic Paramount Theatre serving as the backdrop to the occasion. Expect live music and a food truck. Consider this a collaboration of local superstars — Wicked Weed brewing and Big Mike (from Big Mike’s Brew and Q) pair a five-course dinner sourced from local farms and bakeries with some of Wicked Weed’s finest beers. The true star of the dinner will be all of the pork from North Carolina-based Lady Edison Pigs. Join some of the hottest bands touring today (Infamous Stringdusters headline) for an overnight party at a historic farm outside of Charlotte. Expect camping, live music, and lots of craft beer. Get tickets for the tasting and you’ll sample beers from Bayne Brewing, Granite Falls, Heist and dozens more. Camp overnight and enjoy the Friday night campground jam. It’s not mandatory, but if you really want to enjoy this festival, run the Brewsfest Half Marathon before the gates open. Then stretch your sore legs as you sample beers from more than 40 different North Carolina breweries, from Triple C to Hoppy Trout. There will be live music and plenty of food trucks. And you can eat as much as you want… Because you just ran a half marathon. This festival, with a goal of revitalizing neighborhoods in burgeoning cities, has the standard food truck and live music lineup, but it also features a slew of artists and makers in a flea-market style pop-up market. As for the beer, expect plenty of options and 8-ounce pours for $3 each. New Belgium’s annual celebration of performance art, bikes, and beer is returning to Asheville, as their new brewery plays host to magicians, comedians, and circus performers. Costumes are encouraged and Third Eye Blind headlines the event. Also, there’s plenty of New Belgium beer. Proceeds benefit Asheville on Bikes. Look for Tour de Fat’s stop in Charlotte on May 27. Durham’s Central Park plays host to national and regional blues acts and 20 different North Carolina breweries. Maybe the best part? You’ll get full 12-ounce pours throughout the event. The Willie Painter Band, Roy Roberts and Nikki Hill all perform, and you can choose between 10 different food trucks. This is Asheville’s biggest annual beer festival, with more than 30 local and regional breweries pouring beers for festival goers. A ticket gets you a branded mug and access to samples from all of the breweries. There’s also a Beer City Beer Mile, where you (and a team if you like) can run four laps and drink four beers for the best time. The festival kicks off Asheville’s Beer Week.